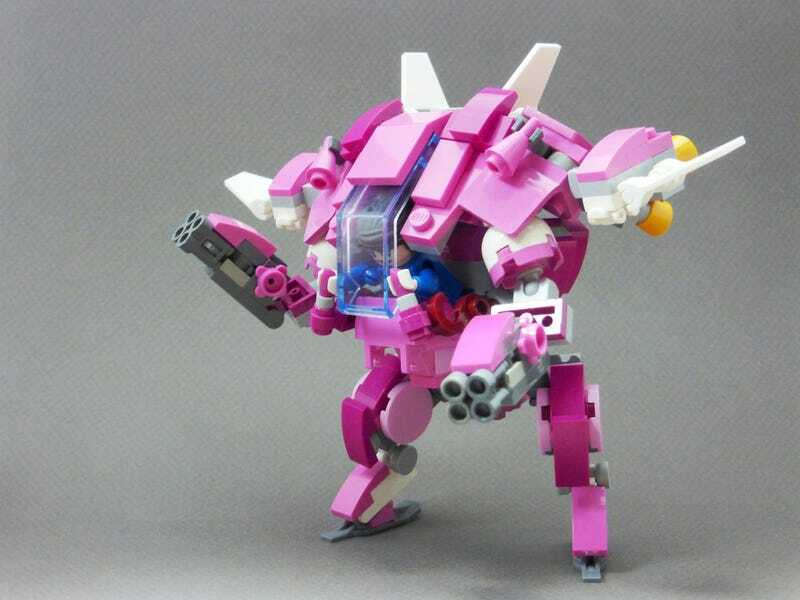 I’m not playing much Overwatch, but I am fascinated by the characters and setting enough to drop cash on some toys, especially if they’re as cool as LEGO builder Taylor’s version of D.Va. Not all of Overwatch’s characters are as large and in-charge as D.Va, but that’s fine. Taylor’s version of the dynamic duo (via Brothers Brick) features a Hana Song minifigure in the pilot seat, a scale that would work for most other characters just fine. I know Blizzard is all about those NECA figures, but maybe it’s time to branch out a bit. Otherwise there’s going to be a run on Captain Cold minifigs from LEGO-savvy Mei fans. Check out more of Taylor’s (aka Stormbringer) work over at his Flickr page.